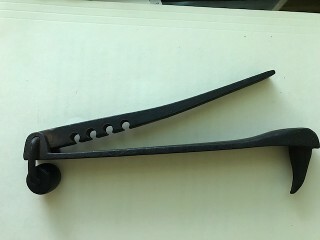 Name that Mystery Tool ? 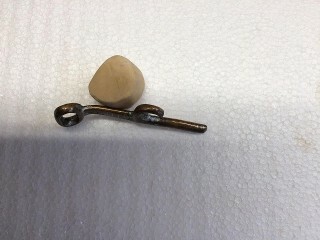 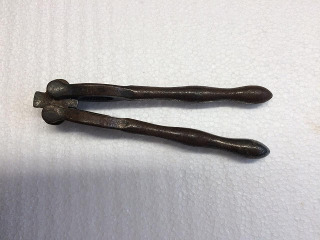 If you know the mystery tool or you have a mystery tool you would like to have identified, email us. 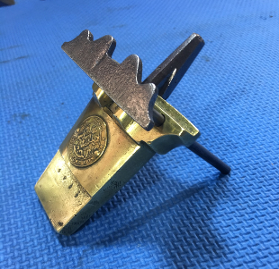 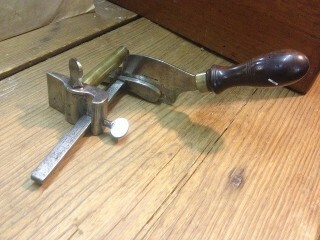 Mystery Tool #1 is a leather cutter slitting plough gauge with brass roller & ferrule. 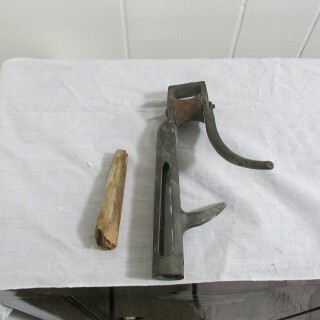 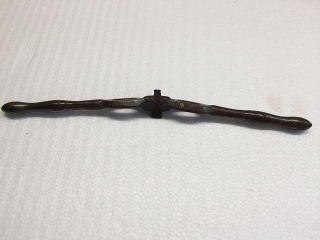 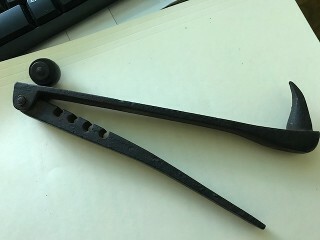 Mystery Tool #3, Made by Star Tool Co. Its for adjusting and replacing Model T Ford transmission bands. 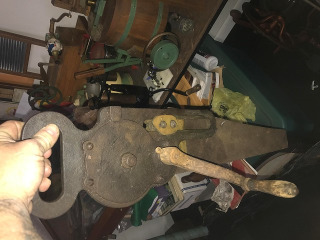 Mystery Tool #4, "EVER READY" Tenoning Machine, patent Oct.17, 1911 by Samuel N. House of St. Louis, Missouri . 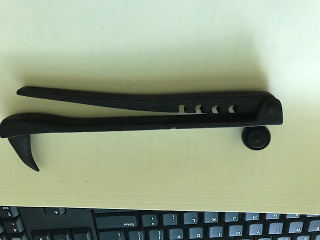 Mystery Tool #5, help us identify this tool ? 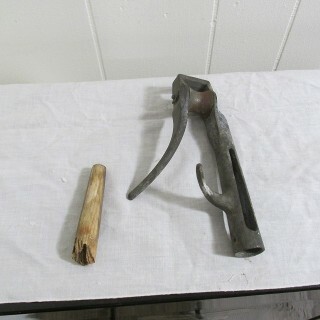 The grapple holder slides up & down and turns around the pipe. 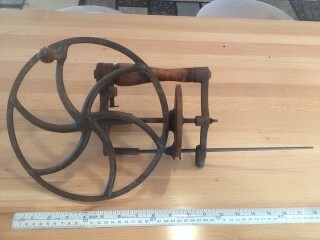 Mystery Tool #6, Clothes tree rotator made of cast iron. 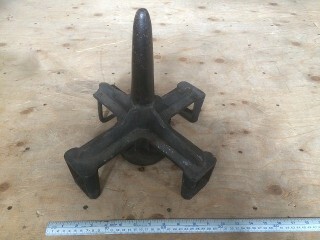 It's shaped like a cross joined to a circular central axis. 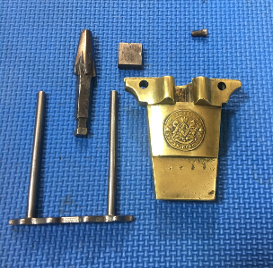 The four cross pieces have a hollow top and end pieces. 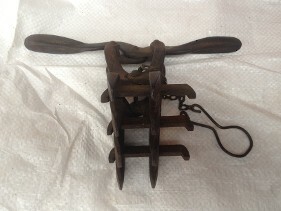 It was through the hollow end that the square wooden poles of the clothes tree were inserted. 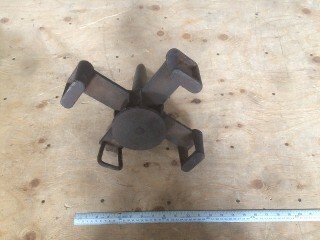 It's about 13" tall and 13" in diameter with 2" square openings. 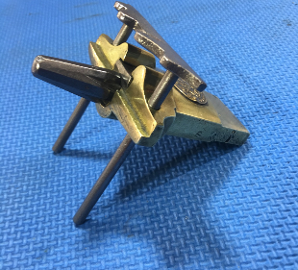 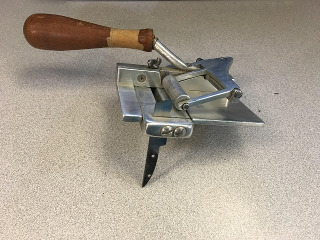 Mystery Tool #7, help us identify this tool ? 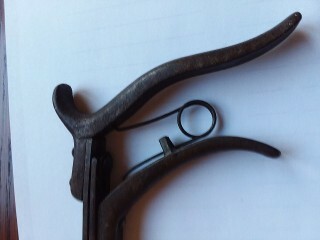 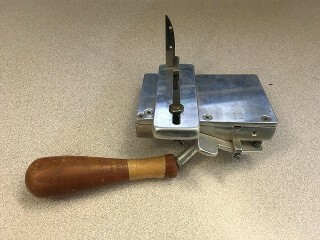 Mystery Tool #8, help us identify this tool? 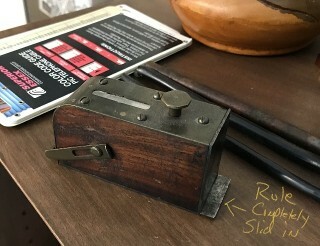 There is no writing or print anywhere. 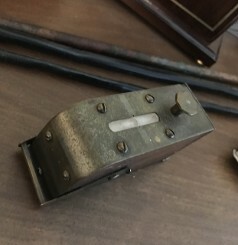 There is a spirit level on top. 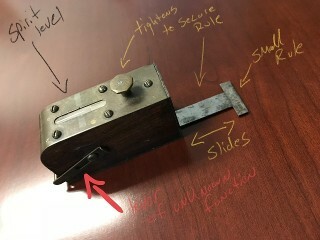 -There is a lever of some type on the back that will rotate up and over the spirit level and it also slides to and fro. 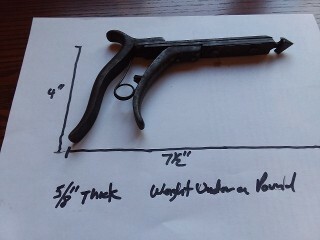 When the rule is completely slid into place, it rest about 1/16th” above the tabletop. 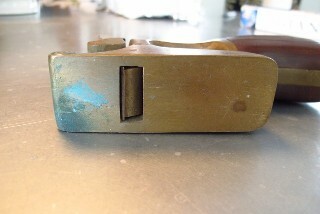 It is NOT flush with the bottom. 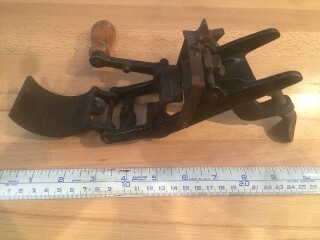 Mystery Tool #9, help us identify this tool ? 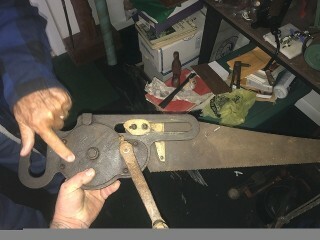 This saw was found in an old tobacco barn in North Carolina it had a brass tag or plate on it at one time that had W N and then the rest couldn't be seen because of a big dent in the center of the plate. 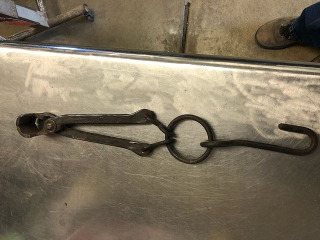 The plate is no longer there it has fallen off. 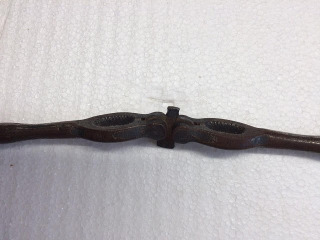 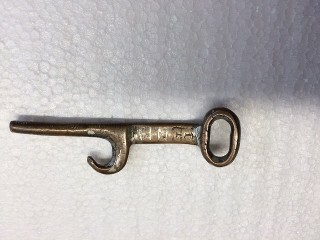 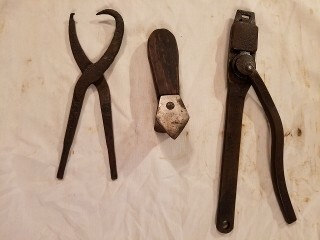 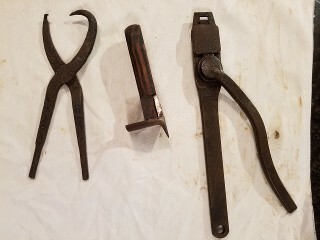 Mystery Tools #10, help us identify these tools ? 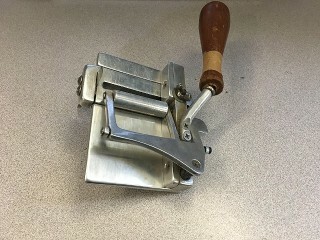 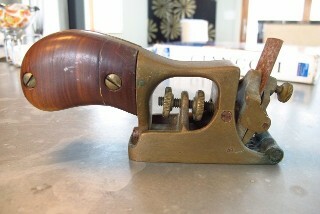 Mystery Tool #11, It is a pasta machine to do Gnocchi or Cavatellis. 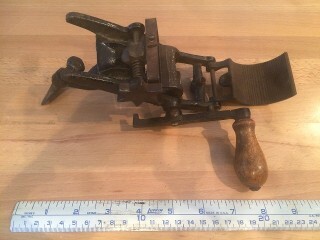 Mystery Tool #12, help us identify this tool ? 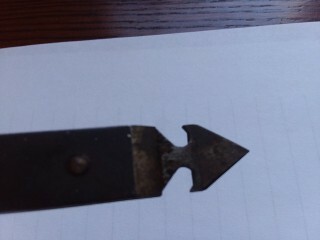 The only marking says PAT'D MAY 15 91. 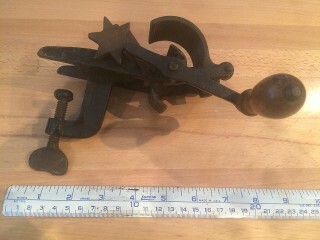 Mystery Tool #13, help us identify this tool ? 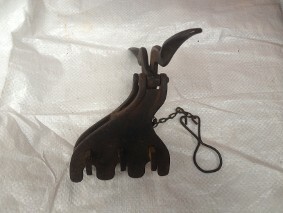 The owner thought it might’ve been a hide puller of some sort. 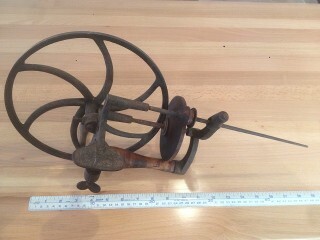 Mystery Tool #14, help us identify this tool ? 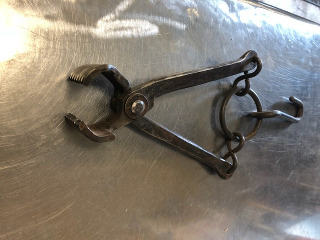 Mystery Tool #15, help us identify this tool ? 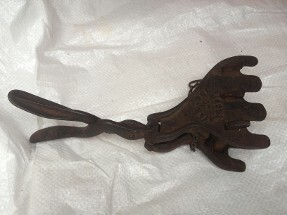 This tool is a nutcracker e.g for hazelnuts. 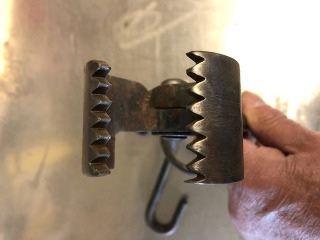 Mystery Tool #17, help us identify this tool ? 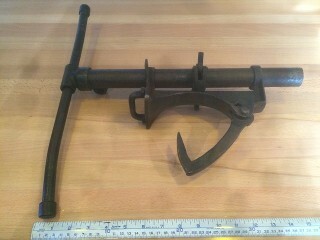 Mystery Tool #18, help us identify this tool ? 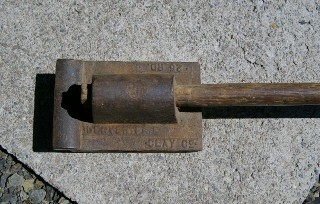 It’s made by Denver Fire Clay Co. 25 RD. 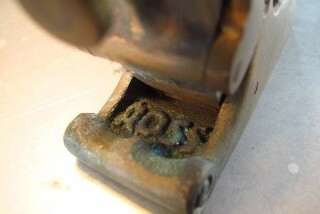 stamped on it. 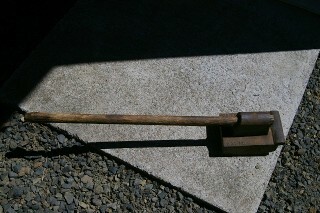 I think it has something to do with mining or clay work. 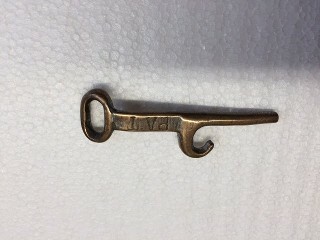 This company was located in Denver, Co. in the 1880’s into the early 1900’s. 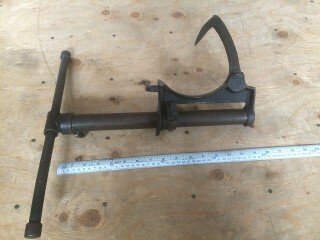 Mystery Tool #19, help us identify this tool ? 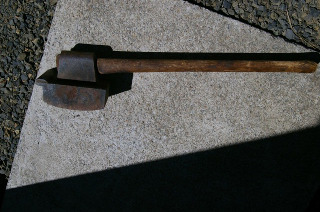 Mystery Tool #20, identify the maker of this scraper ? 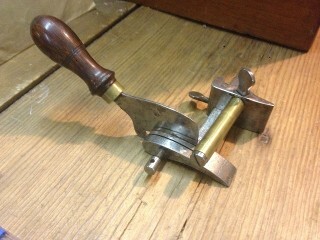 Brass scraper plane, unknown maker?